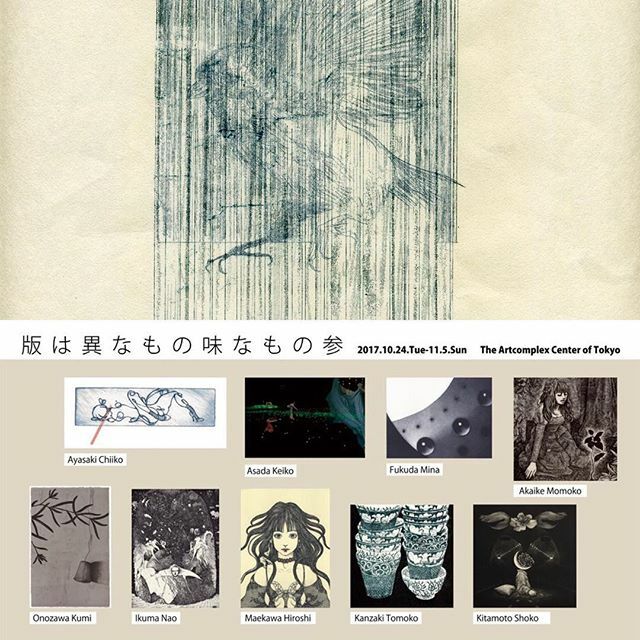 display. . .at the joint Exhibiition of The Artcomplex Center of Tokyo (Tokyo,Japan) Oct. 24-Nov.5,2017 Everyone of the print collectors in Tokyo, please have a look at the exhibition. このホームページはアーティスト神崎智子の作品、制作活動、版画技法等を紹介しています。 This homepage introduces the work, the production activity, and Tomoko Kanzaki's print technique, etc.